Security staff at Southampton General Hospital, who are being attacked in the A&E department, will go ahead with eight days of strike action after talks over the provision of protective equipment broke down. 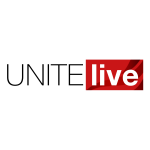 Unite said today (March 27) that talks broke down yesterday (March 26) as the employer Mitie Security Ltd was unable to give sufficient guarantees about the introduction of protective gear. The talks, under the auspices of the conciliation service Acas, also encompassed pay rates and sick pay. No further talks are planned. Unite said that the first of the eight days of strikes at the University Hospital Southampton NHS Foundation Trust is set to go ahead on Friday, April 5. National media attention has focused on the plight of the 21 security staff, who are being attacked on a regular basis by members of the public either under the influence of drink or drugs, or with mental health problems. There is currently a lack of adequate personal protective equipment (PPE), such as stab vests and safety restraints. The security staff voted unanimously for strike action and industrial action short of a strike and will now strike for 24 hours on April 5, April 19 and May 24. There will also be a 48-hour stoppage starting on May 3 and a further 72 hour strike on June 7. All the strikes will start at just past midnight. An overtime ban will also commence on April 5. “The Acas talks broke down as the Mitie management failed to provide sufficient guarantees about the introduction of the vital protective equipment we have repeatedly requested,” said Unite lead officer for health in the south east Scott Kemp. “Mitie said that it is prepared to look at stab vests; however, there is no timescale associated with their introduction and no guarantee that they would be approved by the trust’s infection control team,” he added. “Unite also asked that leg restraints be used across the hospital rather than just in A&E. Again, the Mitie bosses said they can’t guarantee that will happen as they will have to ask the trust. “On sick pay, Mitie offered an increase to four weeks full pay followed by four weeks half pay, but it remains the case that this applies only if someone is injured carrying out their role. There has been no real movement on this. “Lastly, Mitie offered an increase on the base rate for security officers to £9 an hour with no increase for supervisors. There has been no movement at all on unsocial weekend payments. “In essence, Mitie is locked into its contract with the trust and claims there will be no more offers on pay unless the trust offers more money. “As a result, the strikes will be going ahead and Mitie is planning to parachute in security guards from different sites to cover the strikes, but they won’t have the appropriate training or site knowledge to be effective.